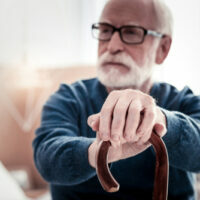 Would Nursing Home Cams Curb Instances Of Elder Abuse? News reports from the summer of 2017 brought to light a number of instances of nursing home abuse. These included one instance of a nurse physically assaulting a memory care patient. The patient’s daughter, who had become concerned that the staff of the facility was treating her father abusively, caught the entire episode on camera. In a case in which it can be shown with incontrovertible videographic evidence that nursing home staff are abusing a patient, the lawyer’s job is very easy. But most of the time that doesn’t happen. Staff at the hospital who are treating patients abusively tend not to offer up that information to lawyers or even other staff. With patients who may be suffering from dementia or other cognitive problems caused by age, it’s difficult to identify cases of abuse let alone litigate them. This has inspired many concerned family members to bug their parent’s room with hidden cameras. The results have been upsetting, if not altogether surprising. The cases that get the most amount of press are those in which staff physically assault patients. More often than not, however, nurses and hospital personnel simply fail a very basic standard of care. This can also lead to injuries and, in some cases, deaths as well. In legal terms, this means that the nursing home is negligent in their duties toward their patients. When this results in injury or death, the nursing home can be held liable. These sorts of cases happen far more often than the ones that get airtime on local news stations. This has led Florida legislators to consider outfitting nursing homes with cameras. Six states already allow video monitoring of nursing homes. One of those states, Maryland, was ground zero for the initiative. The measure that passed allowed residents the right to install video cameras in their rooms. Nursing homes were not allowed to refuse a patient admittance simply because they wanted to install a video camera in their room. One of the largest obstacles to so-called “Grannycam” legislation is the lingering question of patient privacy. For instance, what if one resident wants video surveillance, but they are paired with a roommate who does not? The Maryland Bill says that both patients must be in agreement over the video camera. Health Officials opposed to the bill say that it endangers the trust between a caregiver and their patient and is an invitation to lawsuits. They also claim it would make staffing nursing homes more difficult. Advocates say that those who are performing their duties appropriately and not abusing residents would have nothing to fear. In 2012 a Florida resolution to allow nursing home patients the option of installing a camera in their room died in a subcommittee. Since then, no attempts have been made to revive a similar bill. If your loved one was injured or killed in a nursing home, we can help. Don’t hesitate to reach out to the Miami attorneys at the office of Alan Goldfarb, P.A. for immediate assistance with your case.